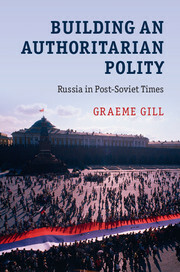 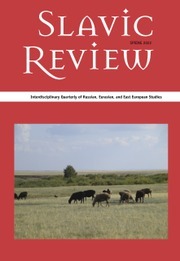 Graeme Gill shows why post-Soviet Russia has failed to achieve the democratic outcome widely expected at the time of the fall of the Soviet Union, instead emerging as an authoritarian polity. 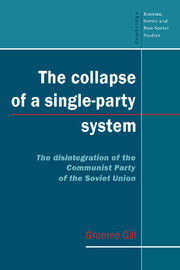 He argues that the decisions of dominant elites have been central to the construction of an authoritarian polity, and explains how this occurred in four areas of regime-building: the relationship with the populace, the manipulation of the electoral system, the internal structure of the regime itself, and the way the political elite has been stabilised. 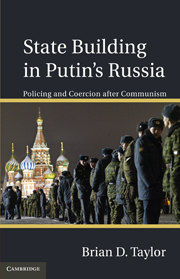 Instead of the common 'Yeltsin is a democrat, Putin an autocrat' paradigm, this book shows how Putin built upon the foundations that Yeltsin had laid. 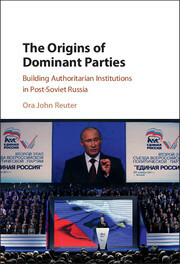 It offers a new framework for the study of an authoritarian political system, and is therefore relevant not just to Russia but to many other authoritarian polities. 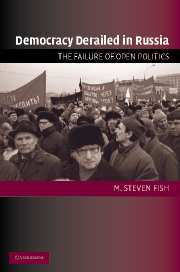 Conclusion: the Putin system and the potential for regime change.